A sturdy table with button release fold out legs and adjustable feet; the combination of modern looks and strong design make the Awning Table a favourite. 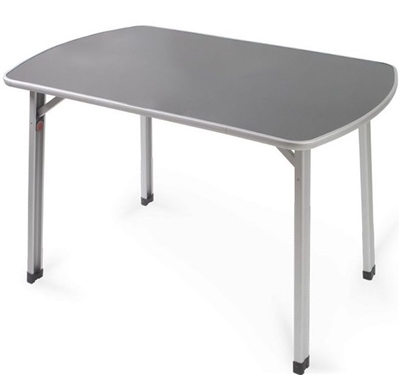 The Kampa Awning table will be used in our Caravan Awning(no surprise there then! )It looks good, the push buttons which lock the legs look sturdy and are easy to fix in place and the table size is good even in a larger porch awning. There are 3 in our family and we can get all knees under the table comfortably. East to wipe clean we hope this attractive will give us many years of leisure use. Really good quality solid table but light with a useful carrying handle. Bought as a xmas present. Delivered on time as stated.